Is there any paperwork or document for the mechanical systems of 2963 Range Line Rd, Ajax, Ontario? I need more information about the property at 2963 Range Line Rd, Ajax, Ontario. How ist the neighborhood, location and nearby amenities for 2963 Range Line Rd, Ajax, Ontario? 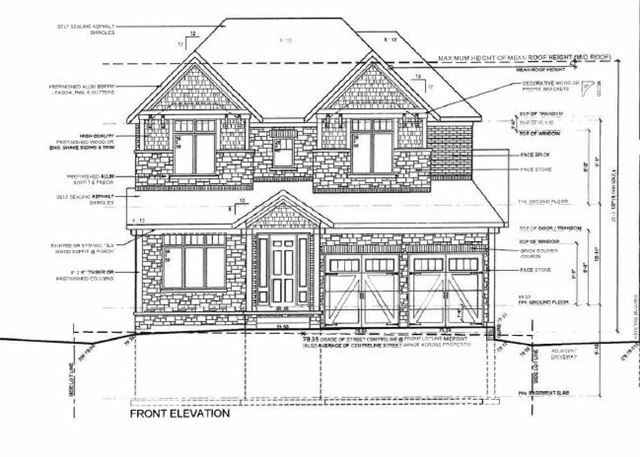 I have questions about the roof, foundation, insulations and mechanical issues of 2963 Range Line Rd, Ajax, Ontario? I need more information about property details. What's wrong with this house? Is this a short sale? Is there any maintenance for 2963 Range Line Rd, Ajax, Ontario? What is this property worth in today's market? What are "closing costs", and how much? What steps should I take when looking for a home loan? What price home can I afford? Is my credit good enough to buy this house? What are the best mortgage options for me? How flexible is the seller on the asking price? How low can I consider offering for 2963 Range Line Rd, Ajax, Ontario? One Of The Last Untouched Lots In South Ajax, Priced To Sell! 50 X 95 Vacant Land Just Steps To Paradise Park & The Lake, Minor Variance Application Approved And Site Plan Application Submitted To Construct Spectacular Custom 2,552 Sq Ft Home. Endless Opportunity To Buy Now & Build Later Or Redesign Existing Floorplan To Suit Your Own Needs. Mature Trees At Lot Line Afford Great Privacy. Excellent Existing Floorplan Includes Sweeping Main Floor Design. Spacious Kitchen, Great Room, Formal Living/Dining, Servery, Walk-In Pantry, Main Floor Powder & Laundry, Huge Bdrms All W/Ensuites & Exceptional Master Bdrm. No Residential Structure On Lot Currently! See Drawings Attached & Aerial Images!